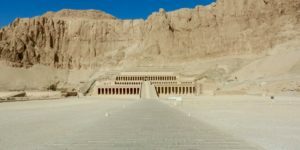 If you are a fan of Egyptology or are planning on travelling to Egypt in the near future, you will no doubt have heard of the Grand Egyptian Museum. It’s one of the most anticipated openings in the world when it comes to museums and tourism and, after a couple of delays, is slated to open next year. According to the antiquities minister, Khaled al-Anani, the Grand Egyptian Museum is now 88% complete and while there is no official opening date set at this time, it is expected that the museum will open in early 2020. While we may not know the official opening date, we do know that the Grand Egyptian Museum will be a world-class facility that will add not only to Egypt’s tourism but also to Egypt’s economy and the local community. 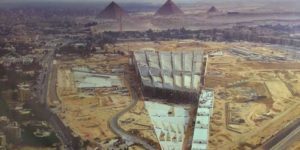 So, if you are looking at going on an Egypt tour in 2020, then here’s what you need to know about the Grand Egyptian Museum. The new Grand Egyptian Museum may be getting ready to open its doors, but Cairo has had a well-known and respected museum for over a century. The current museum, the Museum of Egyptian Antiquities, is located in Tahir Square in the heart of Cairo has been welcoming visitors for 117 years. The location of the current museum is unique as it is surrounded by the best restaurants in Cairo, luxury hotels, and mosques & churches. While the Museum of Egyptian Antiquities is, without a doubt, a favourite among visitors it’s reached its prime. The current museum just too small, both in terms of being able to handle the volume of visitors as well as its lack of capacity for artefacts. New discoveries are being made on a regular basis and the Museum of Egyptian Antiquities doesn’t have the room to hold them, which means thousands of artefacts are hidden away in storage. Not only did the lack of space mean that many items were unavailable for viewing, but it also made it difficult to visit as a tourist. Even for those tourists who have spent the money on Egypt tour packages. There are just too many people interested in visiting, and not enough space to allow everyone to truly have a good experience. Additionally, the Egyptian Museum of Antiquities just isn’t equipped with the proper technology to maintain and protect the artefacts. There have been several problems with lighting, humidity, and temperature which have actually caused further damage to these treasures. It was clear that Egypt needed a newer, bigger, and more modern museum to house and showcase its treasures in a safe and more protected environment and so, in 1992, the plans to open a new, bigger museum were put into motion. In 2002 an architectural competition was announced to design the building that would eventually become the Grand Egyptian Museum. There were entries from 83 countries around the world and the winner, which was decided in June of 2003, was Heneghan Peng company which is based in Ireland. The years since have seen a lot of work and effort put into building this new attraction. It was meant to open in 2019, however, there have been two delays that have pushed the date. As of now, the soft opening is rumored to take place in late 2019, while the official opening of the Grand Egyptian Museum is expected to take place in early 2020. 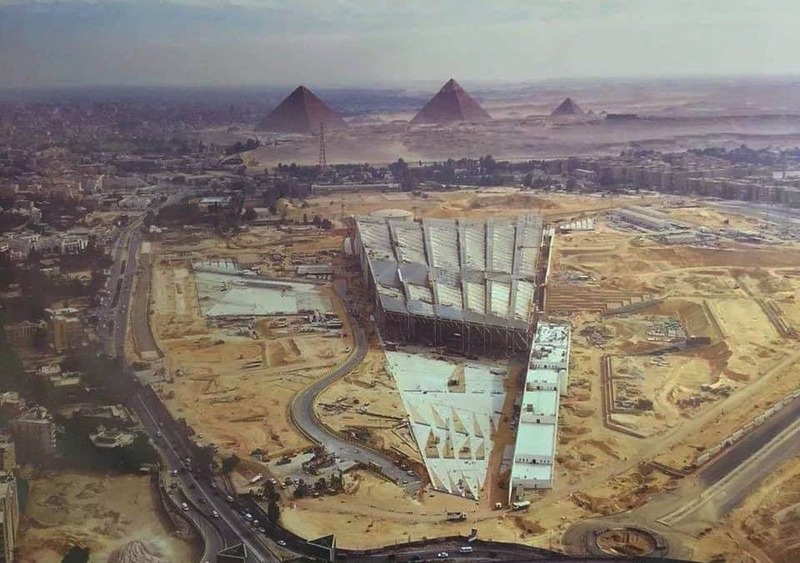 The Grand Egyptian Museum is being built outside of Cairo city centre, in close proximity to the Pyramids of Giza. While some may wonder why the attraction is being moved away from the heart of Cairo, it’s actually a very smart move that will benefit tourists. The main reason why the museum has been moved is due to the lack of space in downtown Cairo. 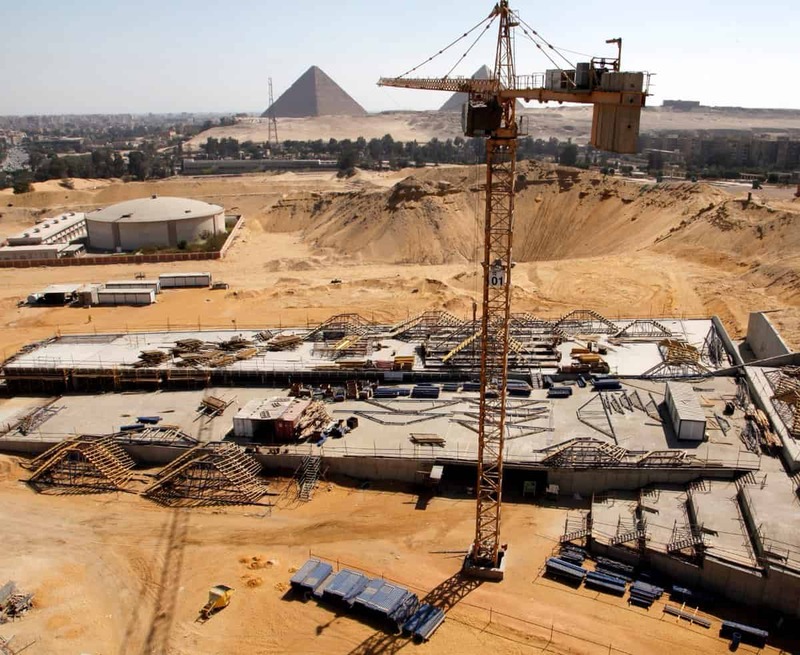 The Grand Egyptian Museum is going to be significantly larger than the current museum located in Tahir Square and, as such, it needed to be located in a place where there was room to build. Perhaps of more interest to the tourists, the new location actually makes exploring both the museum and the pyramids more conducive. 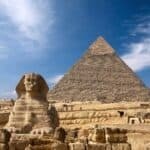 Many guided Egypt tours combine a visit to the museum with a visit to the pyramids as a full day excursion. Since the current museum is in downtown Cairo and the pyramids are in Giza, this means a lot of travel time getting between the two of them. Not to mention the possibility of getting stuck in Cairo’s notorious traffic. With the new Grand Egyptian Museum being located so close to the pyramids, you can ensure that your time is best spent on learning and exploring, rather than being stuck in a bus or car trying to navigate the crowded streets. Part of the charm of the current Museum of Egyptian Antiquities is that it is housed in an aesthetically pleasing historical building in the heart of Cairo. While the new Grand Egyptian Museum will lose the historical aspect of the building, the fact that it is a modern 21st century structure doesn’t take away from the fact that this museum is being designed in a way that the building will not just house the artefacts, but also better highlight them. The Grand Egyptian Museum will be 5.2 million square feet in size when completed and comes with a hefty price tag of more than $1 billion US dollars. It’s been designed to not only be a safe and secure place to store and showcase Egypt’s treasures but also to help create a more immersive and enjoyable experience for visitors. One of the goals in creating this building was to harmonize with the pyramids of Giza which are only two kilometres away. The front of the museum will be made up mainly of glass which will allow for wide views of the Giza plateau and the pyramids in the distance. The Grand Egyptian Museum will also be much roomier and less crowded than the Museum of Egyptian Antiquities. Not only is this better for viewing the artefacts, but it’s also better for preserving them and keeping them safe. Additionally, this new building will have proper humidity, lighting, and temperature control to keep the relics in their best condition. 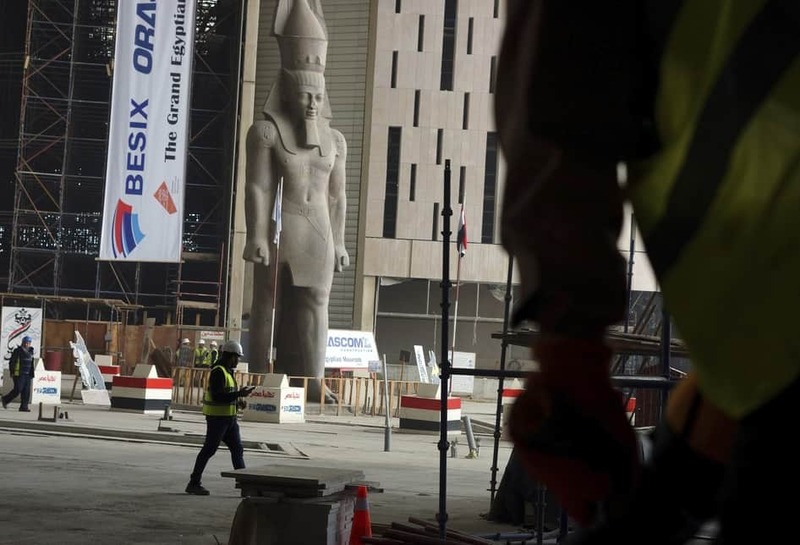 The Grand Egyptian Museum will also feature twenty-eight shops, ten restaurants, a conference centre, and a theatre. The main reason behind the creation of the Grand Egyptian Museum was to have a bigger space to showcase Egypt’s artefacts. 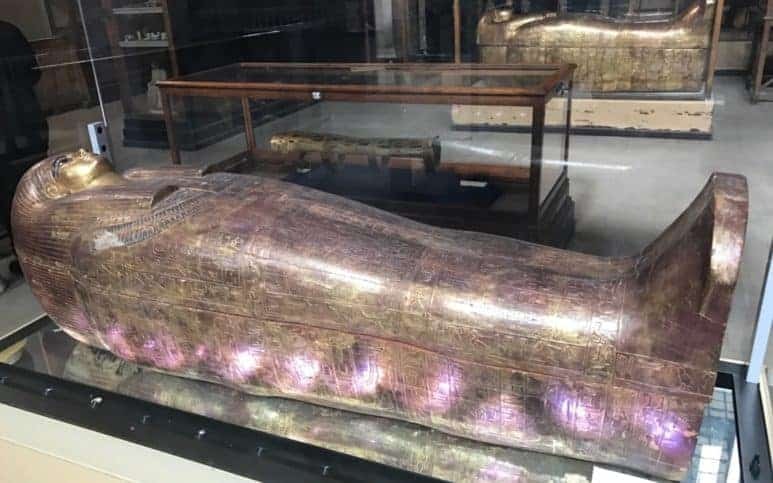 As mentioned previously, right now there are thousands of artefacts stored away for safekeeping because there is no room to display them in the current Museum of Egyptian Antiquities in downtown Cairo. According to the antiquities minister, the Grand Egyptian Museum will feature 20,000+ relics that have never been on display before. Additionally, there will be several items belonging to King Tutankhamen that hadn’t been released since their original discovery in 1922. 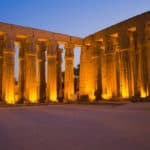 In total, this museum is expected to hold and display over 100,000 different artefacts dating to a variety of periods in Egypt’s history making it the largest archaeological museum in the world. While the entire museum will be set to impress, it is expected that the largest attraction will be the exhibit dedicated to King Tutankhamun, more commonly referred to as King Tut. Currently, the King Tut display in the Museum of Egyptian Antiquities is quite basic with the artefacts on display for guests to walk by and admire. The new set up, however, will be quite different. The plan is for the King Tut exhibition to be an immersive experience where visitors can step into his life. There will be two galleries dedicated to King Tut relics that will allow visitors an inside look at his lifestyle including how he dressed, ate, and ruled as well as a glimpse inside his court and his funeral. This more immersive experience is made possible thanks to the fact that there are so many quality relics from King Tut’s reign, but also because this historic Pharaoh is still being studied and new things are consistently being learned about his life and rule. Of course, not all of the artefacts are in good shape. However, thanks to an incredible team of conservationists some relics which were originally thought to be impossible to restore are, in fact, actually being restored thanks to specialized labs. Without a doubt, the Grand Egyptian Museum has been a huge undertaking for Egypt; a country that has suffered financially due to a lack of tourism in the past decade thanks to political unrest and instability as lots of travelers were wondering is Egypt safe for Americans to travel to?. 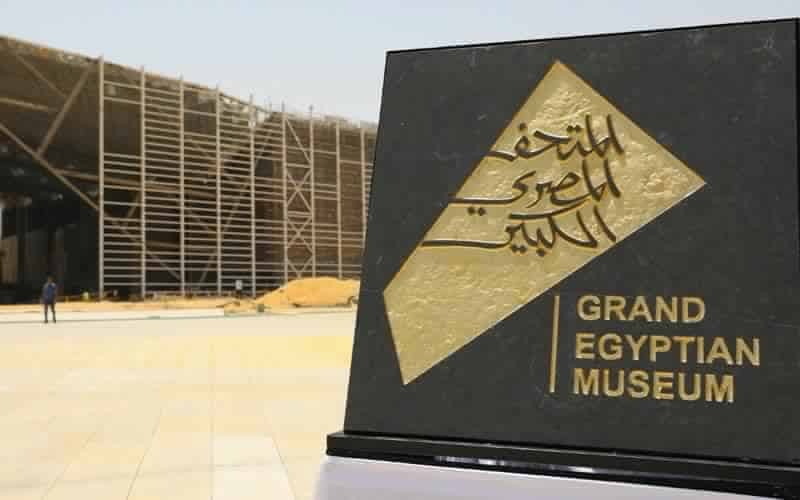 While some may wonder why the government has placed such a huge investment in this museum given the current economy of the country, the fact is that the Grand Egyptian Museum has been, and will continue to be, a boost for the economy and the local businesses, both directly and indirectly. Firstly, the Grand Egyptian Museum has created jobs. Not just in terms of the construction of the building, but also in regards to staffing the museum. Since this museum is considerably larger and more experience-based than the current museum in Tahir Square, more job opportunities have been created. 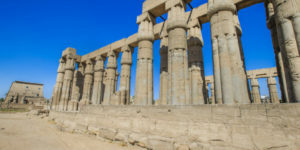 Additionally, since the Grand Egyptian Museum is expected to increase the number of tourists, this will also help the tourism industry in general. 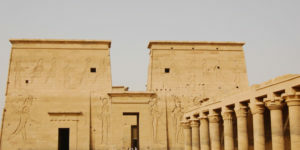 Everything from local hotels, to companies offering custom private Egypt tours, to souvenir shops, and more will benefit from this new museum. 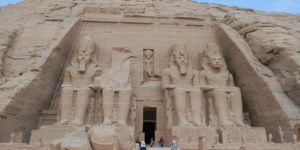 Tourism has historically played a huge rule in Egypt’s economy and the drop in tourists over the past few years has really had a negative impact on the economy. The fact that this country is getting such an impressive world-class museum just might be the boost they need. Want to Experience the Best of the Grand Egyptian Museum? Consider Our Custom Private Egypt Tours. The Grand Egyptian Museum is expected to become one of the top museums in the world. As such, you will want to make sure you experience the best of it and are able to make the most out of your visit. Of course, you are welcome at arrive to the museum and explore on your own. The layout will be easier to follow than that in the current museum and there will be signage available over the important artefacts for you to read to better understand what you are looking at. However, you need to remember that this museum will be massive and house over 100,000 artefacts and relics. With that in mind, it is highly recommended that you take a tour. Not only will this ensure that you understand what you are looking at, but professional guides will make sure that you see the main highlights and don’t end up missing something important. 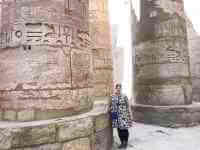 Better yet, a private tour will allow your professional Egyptologist guides to create a visit based on your interests. Ready to book your trip to Egypt to see the Grand Egyptian Museum and more? Feel free to get in touch with the Osiris Tour team to discuss our luxury Egypt tours. Hannah is a Canadian travel writer and blogger who dreams of one day being as cool as Indiana Jones. You can follow her travel adventures on her personal blog, Eat Sleep Breathe Travel.